This 6-hour private shore excursion allows you to visit multiple locations in the Italian Riviera without worrying about transportation. A private driver will collect you and your party at the cruise port and drive you to multiple locations, such as Portofino and Camogli, where you can explore on your own time. The private nature of the tour ensures personalized attention and a fully customized itinerary. When disembarking your cruise ship in Savona, look for your private driver, who will show you to your comfortable tour vehicle. Set off through the Italian Riviera, enjoying the scenic drive on the way to Portofino, about 1.5 hours driving distance from Savona. As you ride, check out the architecture and landscape and listen to your driver's narration on the area's history. 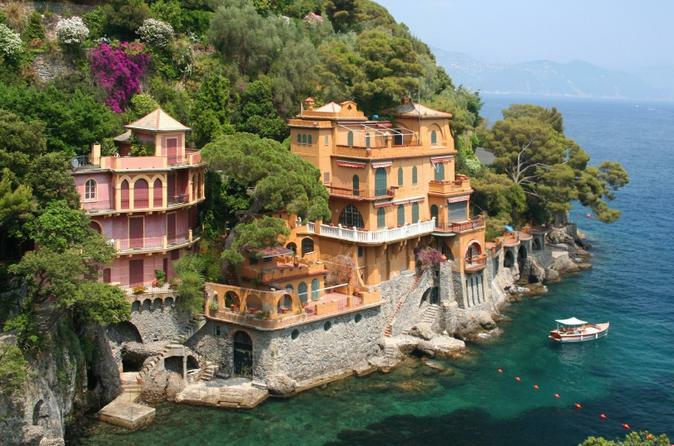 When you get to Portofino, take a walk through the city center at your own pace. Your time in Portofino is free to use as you see fit; you could walk to the lighthouse overlooking the Gulf of Tigullio, visit the Church of San Giorgio Maggiore or the Oratory of Santa Maria Assunta. Continue to Camogli, a fishing village on the Tigullio coast, for some more sightseeing in the quaint village. Your guide can recommend a restaurant for a lunch of traditional Ligurian cuisine (own expense). Fresh seafood is a local favorite. Relax on the drive back to the cruise port, where you'll be dropped off in time to meet your departing ship. We will ensure your timely return to the Savona port for this activity. In the rare event your ship has departed, we will arrange for transportation to the next port-of-call. If your ship is delayed and you are unable to attend this activity, your money will be refunded. See our terms and conditions for full details.